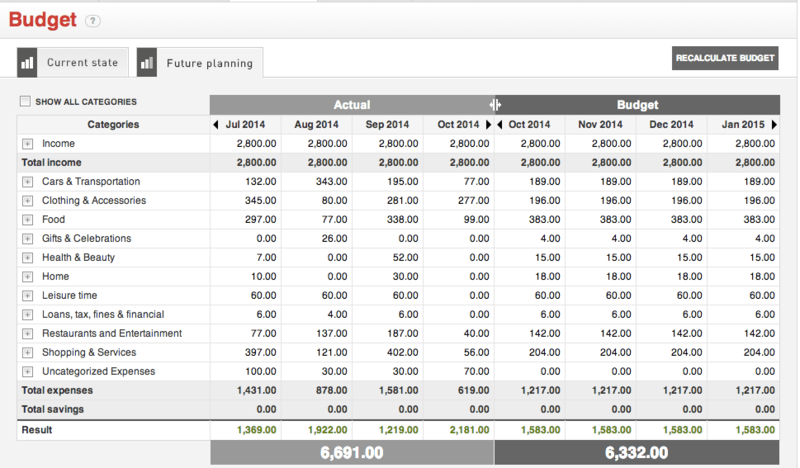 Drawing up a budget (and by drawing up I mean filling in numbers online) was one of the scariest things I’ve ever done. Not because I’m fearful of sticking to a budget, but because I had to come face to face with what I’m spending, including all those purchases from Superbalist, MAC makeup and Mr Price Sport. However, with money owing on my credit card, owing largely to makeup and shoe purchases, I had to look at what I was spending in the eye, and try and manage it all better. I used the online budgeting tool on Momentum’s site, called MyFintrack, which is an easy-to-use (and non judgemental) solution to show you all your income and expenses from your different accounts, on one page. It’s free to create a budget, and you don’t need to be a member of Momentum to do it. The tool works by allowing you to automatically download your bank statements into an online, customisable budget template and it updates the budget every time you transact. This pretty much takes the guesswork out of budgeting. You’ll also be nudged towards smart and responsible behaviour – for example if you spend R2 000 on makeup, but can’t afford to save on retirement, you’ll be prompted to do something different. 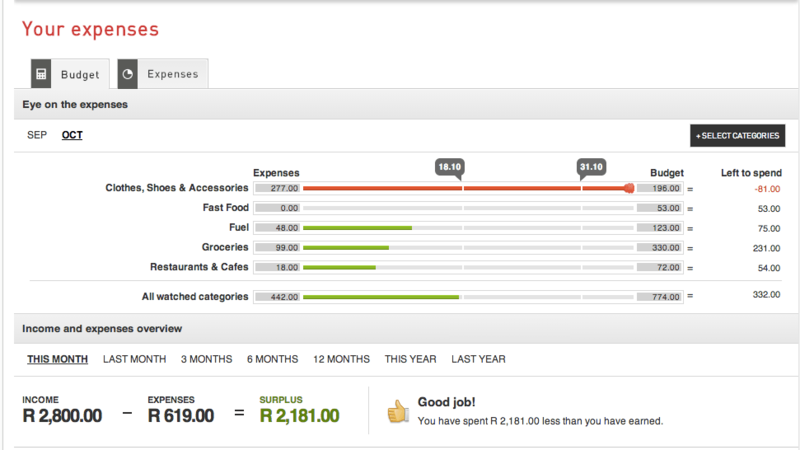 MyFintrack shows you all of your income and expenses from different bank accounts in a single view. The transactions on these accounts are automatically categorised so you can clearly see “where your money goes”. This wasn’t the easiest thing I’ve ever done, but it’s certainly been one of the most useful, and a reminder that not only can I live with my current lipsticks, but that putting money away for myself and my son is the real beauty.